Refillable and reusable Advent calendars that you can bring out ready for the 1st of December each year can be a lot of fun. This is a HUGE list of 100 detailed suggestions on ideas for advent calendar gifts for men, women, boys and girls. So much for you to choose from. Advent calendar gift ideas for adults and for kids can be difficult to think up and especially if you don't have much time in the run down to Christmas. With this guide, you should never get stuck for ideas on Advent calendar fillers again. Because this page is so large, it's been broken down into handy sections for you to make choosing your fillers that much easier and quicker. There are many small and thoughtful non-candy ideas for items that you can use. Some of these cost money and some of them are activity based or can be done for free. Use this quick cheat sheet on Advent Calendar fillers to get some ideas in a hurry. Loads of detail and further ideas below for you. Use the suggestions that appeal most to you and which work on your particular budget and for the size of the pockets or drawers that you have in your particular Advent calendar design. You can easily bookmark, favorite and pin this page to revisit again and again while you plan it all out. 1. Make a Small Photo in a Frame. If you have a printer, it's very easy to print out a tiny photograph and pop it into a miniature frame. I often find tiny novelty frames at the dollar store. It can be a photo of you to gift to your husband or boyfriend or a photo that means something special for him: a family member or a cherished pet. 2. Mini-Bar Size Alcohol or Liquor Filled Chocolates. If he likes an alcoholic drink, you can get mini-bar sized liquor bottles. These are a good size for putting into most Advent Calendars and especially ones with pockets which tend to be bigger than drawers. Give him a tiny taster to enjoy in the evening or after a hard day at work. 3. Seasonal Festive Nuts Make a Healthy Treat. Christmas is a traditional time to eat nuts such as walnuts, brazil and hazelnuts and these make healthy treats for anyone who does not have a nut allergy. Nuts are fairly cheap to buy and you can divide out a small selection and pop them into a bag as a filler on one or even several days. You can put some into a square of festive Holiday cloth and tie it off with ribbon as a cute little gift. 4. Pop in Some Jokes and Seasonal Quotes. Fillers don't need to cost anything. You can easily add in Christmas jokes or seasonal quotations to drawers and pockets of the Advent calendar. 5. Keychains and Keyrings. Keychains are small items that are normally inexpensive to buy. For something special, you could look for a cool Lego minifig keychain for men. But you can also make your own personalized keychains really inexpensively too. Buy a blank photo keychain and put a special photo or print inside to make it unique. My husband loves the keychain I made for him which has a photo of our daughter inside. It didn't cost much for me to make but he loved it and he's used it for years. There is a small Lego minifigure toy that you can get for just about every interest, hobby, job or skill that you can think of. Is your man a super hero, is he into Star Wars? I love the seasonal ones that you can get. These are ideal sizes for fun and novelty Advent fillers and gifts. 6. A Festive Sprig of Mistletoe. Mistletoe is perfect for this occasion and ideal, if you are hoping for just a little bit of romance. It's just the things to share a traditional Holiday kiss under. Please be aware that real mistletoe can be poisonous to pets. If you have pets then you'd be better getting hold of some artificial mistletoe instead. 7. Confetti Bursts and Poppers. Confetti poppers can be a lot of fun and ideal to save for a celebration. You could add one to the very last Advent calendar drawer or pocket to have your own mini party. 8. Fill Up a Memory Card or USB Stick. You may already have a spare memory card or USB stick that you can use. Fill it up with some of your favorite photos that this man, your husband, boyfriend or someone else can enjoy viewing. Perhaps he'd love to see pictures of you through the years or even of himself as a trip down memory lane. 9. Stamps for Mailing Out Holiday Cards. One really useful and practical idea is to put in a selection of festive Christmas stamps. He can use these to mail out some Holiday cards to friends and family. If you use this idea then ensure that you pop these into an earlier number drawer or pocket to allow for the posting times before Christmas. 10. An Invitation to Decorate the Tree Together. Pop in an invitation for you to spend time decorating the Christmas tree together or as a whole family. Pick a date in December when you'd normally start decorating the tree. This seasonal task is so much better when shared. 11. Novelty Christmas Jewelry. Does he wear jewelry? An earring, bracelet, necklace or even cufflinks? You can get hold of some fun and novelty pieces which are ideal for the Holiday season. 12. A Mini Puzzle to Train his Brain. Lots of adults enjoy little brain teasers and puzzles. You can find many tiny 3D maze puzzles and miniature Rubik's cubes that he can enjoy using. 13. Pick Out and Purchase Your Christmas Tree. If you normally leave this activity until December then you can choose a date when you can both go and choose your tree together. Make more of a seasonal outing of it by going for a festive drink before or after. Or you can whip up some yummy treats to enjoy when you get back home. 14. Make Homemade Luxury Hot Chocolate, Eggnog or Mulled Wine Together. Use the Advent calendar to hold instructions and a recipe for making up a traditional festive drink. And make sure that you have all the ingredients available at home so you can enjoy this activity. 15. Pinback Buttons for Mini Statements. Pinback buttons are so easy and cheap to get hold of. They are a great size to fit into most Advent calendars and you can buy several to use over a number of days. You can also make your own pinback buttons by buying empty ones that you can fill with your own pictures and prints. This is a very small and handy flashlight that comes in a range of colors. It comes with a clip hook so it can be easily attached to a key chain or a belt. 16. 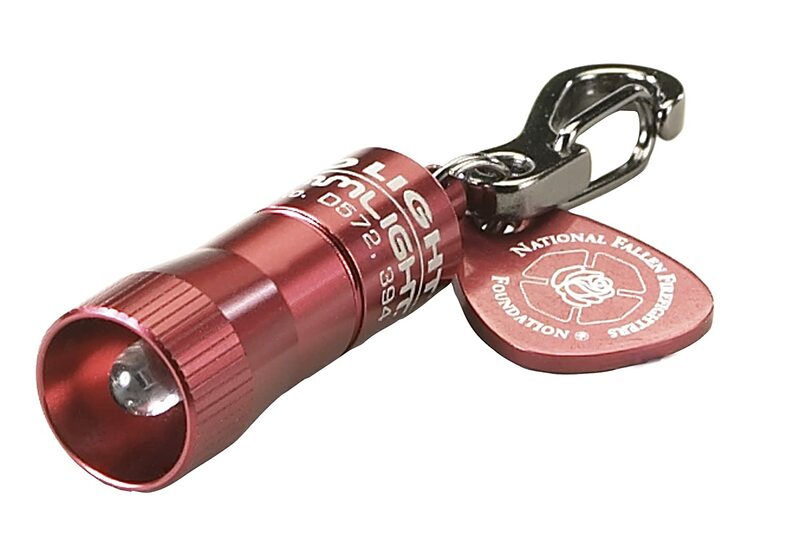 Give the Gift of Light with a Mini Flashlight. My husband really loves his mini lights that he uses for a range of purposes. These cute looking little keyring flashlights are tiny and can make really fun yet practical fillers that are easy to slip into the pocket of an Advent calendar. 17. A Couple Time Coupon. December is known to be a hectic month and it can be hard to get some quality time together with your husband, boyfriend, partner or significant other. Write out a coupon to give yourselves some much-needed couple time. You could specify a date to have a meal out or, if you're on a tight budget, plan a romantic meal in or a movie that you can snuggle up and watch together. 18. Make Your Own Bookmark. Even with the rise of Kindles and reading on electronic devices, many people still like having books in print. If he likes hardcover and paperback books, consider making some bookmarks. This can be as easy as laminating a photo or piece of patterned paper and cutting it into a rectangular shape to be used. 19. Some Activity Tickets. Book up an activity that you can do together during December. Maybe you want to take a trip to the theater, some sports game or ice skating. Pop the tickets inside the Calendar as a surprise treat. 20. Miniature Diary, Bible or Sketch Book. You can get some super tiny books such as pocket diaries and little pads. Just check the size before you buy to make sure it will fit inside your Advent calendar. Often fabric pockets are more accommodating than drawers are. 21. Disposable Camera for Taking Fun Photos. Once you have the Christmas tree all decorated, you can enjoy taking some fun snaps using a disposable camera in front of it. If you can't fit the camera into the calendar then wrap it up and place it near the Advent calendar with the number on for the day it should be opened. Sometimes larger fillers are good to use. 22. Write a Sweet Note, Love Letter or Poem. Another gift idea that costs nothing but your time is writing a love letter, poem or note. If you plan to really make a big effort with this then how about you fold your letter into a heart shape using simple origami instructions. 23. New Tie or a Pair of Christmas Socks. Small items of clothing such as ties and socks can be rolled or folded up small. If they are still too large to fit inside then wrap as a gift and label with the day to be opened with a note in the calendar pocket or drawer. 24. Give Him A Lipstick Kiss. It costs absolutely nothing to give him a lipstick kiss. Find a nice piece of paper and press your lipstick smothered mouth on it to leave an impression. You can also add on a cute message but be careful not to smudge it. 25. Have a Family or a Couple Games Night. Schedule in a fun games night as an activity. You can enjoy some quality down time playing a board or an interactive game together as a couple or as a family. 1. Write down a Sweet Seasonal Quotation. You could use a verse from a festive themed poem, an appropriate passage from the Bible or a seasonal quotation. Think to write down something nice such as a thoughtful and positive message. Make the start or the end of her day a really good one. 2. A Beauty Sachet with Face Masque. 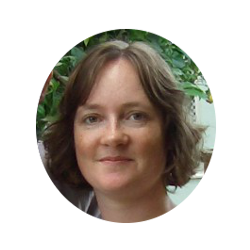 Give this woman a bit of me time in her Advent calendar. Pop in a small facial masque sachet. For extra points, pop in a coupon awarding her with an hour of self-indulgent pampering time while you help out around the home. 3. A Sprig of Festive Mistletoe. If you are putting together a calendar for your girlfriend or wife, you can use a sprig of mistletoe to add inside. Since the real plant is poisonous to pets, you could use an artificial sprig of the plant or you could print off an image of it and add on the text "kiss" with a question mark. 4. Frame a Cute Mini Photo of Her. The Dollar store or similar often has mini photo frames that you can buy. Fill these up with some cute photos to use as easy and inexpensive filler gifts. If this is for your girlfriend or wife then you could use a photo of her, a photo of her family or a pet. 5. Novelty Jewelry such as Earrings. If she likes jewelry then earrings and other small items such as necklaces, bracelets or charms could be enjoyed. In a romantic context, you can even use the Advent calendar to help you propose. Imagine the surprise of her picking out an engagement ring (or photo of one) on one of the days in December. 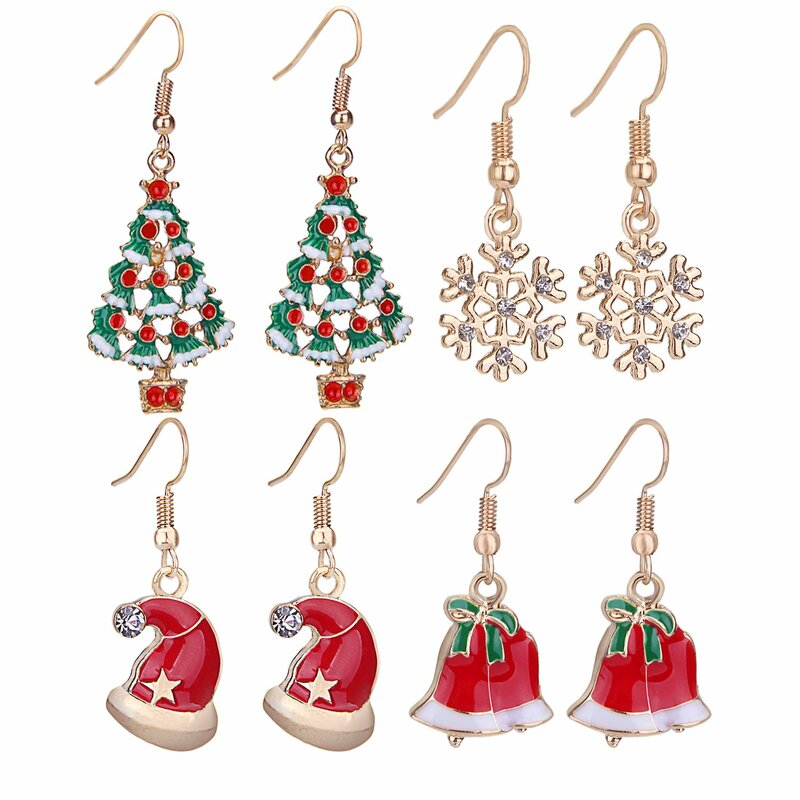 Here's a cute looking set of Christmas dangle earrings for some festive fashion fun. This works out quite economically buying 4 different pairs and then splitting them up and using them on different days in the Advent calendar. These could be sprinkled among lots of free activity ideas to keep the overall cost down. 6. Lip Balm for Small and Practical Fillers. The winter months can quickly result in dry and cracked lips. Lip balms are cheap to buy and often come in multi-packs. They are practical and cute little fillers for the calendar and can be used for all the family. 7. Nail Polish or Nail Art Stickers. Christmas is the time when even women who don't normally paint their nails may suddenly get a manicure or pedicure for those festive Holiday parties. Red is the classic choice of color for Christmas but any glittering or sparkling colors can work well. You can also add in an offer to paint her nails. 8. Christmas Ornaments for Decorating the Tree. The best time to buy ornaments is right after Christmas has ended because you can get some amazing bargains this way. We stock up in January every year. Ornaments make wonderful themed items for your Advent calendars. You can even make your own. 9. Mini Diary or a Pocket Calendar. A tiny little pocket-sized diary, calendar or notepad could be a handy gift for a woman to pop into her purse. There are even places where you can print off free calendars online. If it is too big to fit inside the drawers or pockets for your Advent design, wrap it as a gift with the date on to open. 10. Make a Custom Book Marker. Bookmarks are still widely used for quickly finding a place in a diary, recipe or gardening book. They are easy to make yourself with some pretty patterned scrapbook paper and a laminating machine. 11. Hair Styling Items and Accessories. Women who enjoy dressing their hair may welcome the addition of hair clips, bands, elastics and more. Many of these items are small, inexpensive and easy to pop into an Advent calendar. Holiday colors such as festive reds, greens, silvers, gold and anything with glitter and sparkle should work well. 12. Inspire Some Holiday Baking. Find some festive recipes out and put them into the calendar for some fun baking sessions. Make that for two of you or for the whole family to enjoy. Gingerbread people, cupcakes, sugar cookies and other recipes can be baked and shared to get into the spirit of the giving season. 13. Mini Notepad and Pen. Look for a tiny notepad and a mini pen or pencil. These make useful little gifts and can be stored easily in a purse. You could even use the first page to make a sweet message to be read. 14. Couple or Family Time Coupons. Modern life means that we don't always seem to spend very much quality time together. Print or write some IOU style coupons for an activity you can all do or even just an hour of snuggle time. 15. Have a Fun Christmas Picnic. A picnic can be an indoor event so how about a picnic in front of the newly decorated Christmas tree. Put down a nice cloth to sit on and add in some comfortable lounging cushions to the floor for a unique indoor picnic. You can buy a set of 24 different nail polish colors and use a different one in a pocket or drawer each day. This is a great idea for a woman who loves painting her fingernails and toenails. Make your own fun version of a brilliant beauty Advent calendar. 16. Hand Written Notes are Free. Write down something kind and thoughtful for a friend or something sweet and romantic for your girlfriend or wife. If you don't possess the gift of wards yourself then look up some positive quotations online that you can use. 17. Small Scented Soaps. Think Hotel size for little hand soaps that can make great ideas for Advent calendar fillers and gifts. Try to get one which is scented just how she likes whether this is a floral scent or a fruit based fragrance such as lemon or orange. 18. Novelty Cookie Cutters. Cookie cutters can be bought in large packs and sets quite cheaply which makes them useful as affordable fillers for women who enjoy baking. Look out for mini cutters especially which should fit in some Advent calendar designs. 19. Decorate the Tree Together. Don't make her decorate the tree on her own. Make decorating the Christmas tree a couple or a family activity instead. Set aside a day to this activity by placing a note inside on your chosen date. 20. Have a Family Clear Out and Make Way for New Gifts. A useful activity before Christmas is to embark on a family clear out. Tidy up and decide which unwanted items can go to a good cause for the season of goodwill. 21. Kitchen Magnets: Small and Collectible. Magnets for the refrigerator are small and easily found. They can fit neatly inside an Advent calendar. 22. Roll up Some Festive Socks or Underwear. Underwear is practical or it can be romantic. Either way it can roll up easily to fit in those mini drawers! 23. Perfume Bottles in a Tester Size. Make a beauty themed Advent calendar and add in some small scented items such as soaps, perfumes, nail polish, cosmetics and more. 24. Book Up an Activity. Book something like a movie, theater, show or a special dinner and put the tickets for the activity into the pockets or drawers as a fun surprise. 25. Give Some Seeds for Someone who Loves Gardening. Seed packets make small and fairly inexpensive fillers. These could make a great choice for a woman who loves to grow things in her garden. Buy them at the end of the growing season to get the best price but do check the expiry dates. 1. Silly Bandz or Buddy Bands. These bands, which function as regular rubber bands, come in lots of different shapes. They are fun, small and inexpensive to buy in bulk. Find some to match the time of year or ones which appeal to this boy's particular interests. 2. Temporary Tattoo Designs. Lots of boys enjoy these temporary designs and prints. Like stickers, you can buy these designs in strips to cut down or get them individually. 3. Trading Cards. Trading cards can be a fun addition for a boy who collects them. These cards can fit into the pockets of some Advent calendars or you could pop each one into a numbered envelope instead. 4. Small Plastic Toys and Figures. Does this boy enjoy playing with small figures and toys? You can get a whole range of sets which have themes such as knights, soldiers, farm animals, bugs, marine life and more. You can buy lots for a small amount and spread these toys out through the days of December to be enjoyed. 5. Add in some Jokes and Seasonal Quotes. It will cost you nothing to search for some child-friendly jokes, riddles or poems that can be used. Not every day in the count down to Christmas has to result in an actual gift that costs money. 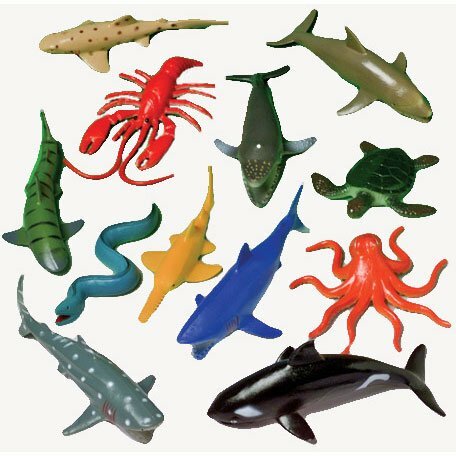 Plastic sets of toy figures and animals can be a really inexpensive way to fill those pockets and drawers up with fun items and fillers for kids to enjoy. You can even turn it into an educational exercise by having a different animal each day and print out some facts about each one so children learn about them too. 6. Glow in the Dark Sticks. Mini glow sticks, necklaces and bracelets can provide loads of fun. There are smaller mini varieties which may fit better in the Advent calendar. Children can use them for lighting up in the dark or even throwing them in the bath for glowing fun in the bathtub. 7. Write a Letter to Santa Activity. Pick a traditional activity like this one for one of the days. You could add in the paper and some colored pens and pencils so he can get on and write his letter to Santa Claus. 8. Mini Wind-Up Novelty Toys. Wind-up toys such as plastic cars are often an ideal filler size. They are also fun for boys and girls as well to play with. There are also some wind-up toys for the bath and water table outdoors too. 9. Strips of Paper to Make Paperchains. For a fun and easy craft activity, cut up strips of colored and patterned paper. You can get kids making paperchain decorations to hang around the home this Christmas. 10. Lego Minifigures or Playmobil Characters. Many children love Lego. Minifigure characters are cute gifts that will fit into most Advent calendars. More cheaply, you could buy a smaller box of Lego and distribute pieces through each day with instructions to make something when he gets to the end. 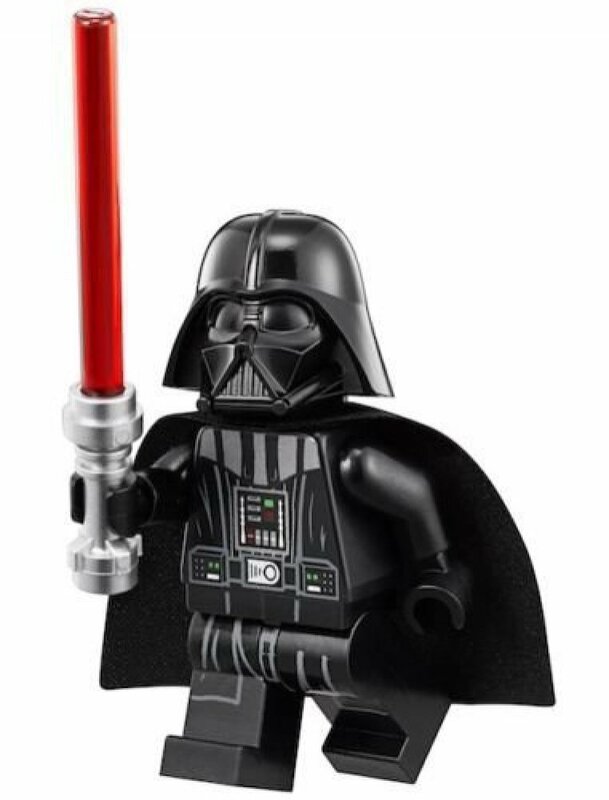 For a boy who loves Lego, why not pick out minifigures and Lego pieces that you know he will enjoy. That would be an exciting way for him to look forward to seeing what is in the calendar each day. 11. Novelty Erasers and Mini Pens. Small items like mini pens, pencils and erasers can be both fun and practical to use for school or home. 12. Tidying his Bedroom to Donate Unwanted Toys. Boys may not find this activity much fun. However, an important message to learn during December is thinking about others. Donating some no longer used toys, books and games to a charitable cause is a great way to get this message across. Offer a nice treat as a reward for sorting their toys out. 13. Money Talks. Most kids enjoy getting given money. If you want to make it educational, also do some counting and math activities with the coins. 14. Small Keychains or Keyrings. Keychains are normally inexpensive to buy but you can make your own unique ones by using blank photo keychains and placing your own photo inside. 15. Treat Time Coupons. Give a boy a specified time for doing something he really likes with a treat time coupon. It could be gaming, TV watching or going on a trip. 16. Add in a New Toothbrush. A new toothbrush is more exciting for younger kids who want a special brush to clean their teeth with. 17. Small Bouncy Ball Toys. For boys who are old enough not to put small items in their mouths, small balls can make fun toys to play with. 18. Read Christmas Holiday Books Together. Not everything in the Advent calendar has to cost money. Children normally look forward to some undivided attention from parents. Add in a note spend time reading some seasonal books together. These can be taken from the local library. 19. Rubber Stamp Designs. Rubber stamps are great for boys who enjoy arts and crafts. You press the stamps onto ink pads and then onto paper to print a motif or design. You can get stamps individually or in bigger sets that can be split up and then divided among different days during December. Don't forget a stamping ink pad and paper too. 20. Take a Visit to see Santa Claus. Make a date for a trip to visit Santa. Younger children get the most from special trips like this one. It can make their memories of Christmas really wonderful. 21. Marbles. Marbles can be great fun for older boys. Kids can invent games with marbles including counting, sorting, collecting and trading. Mostly they are fun to roll across the floor. 22. Paper or Foam Stickers. Stickers are ever so easy to get. They can be added into the drawers and pockets in small groups. You could make your own sticker scene out of card and buy stickers that work with the scene. How about making a Nativity scene. You can look for stickers that have farm animals and stars to add. 23. Mini Book or Notepad. Buy a small notepad. To make it more fun, add on the boy's name and pop a note inside for him to read. 24. Pin Buttons. Pin backed buttons are very easy to find. You can get them in bulk and they are good for stuffers and fillers of all kinds. You can make your own custom ones too. 25. A Christmas Ornament to Hang on the Tree. Why not specify an activity for him to make some ornaments for the tree. They can be made from card, paper, felt or salt dough even. 1. Lip Balms: Small, Inexpensive, Lots of Flavors. Lip balms are so inexpensive to buy and you can often get them in packs too which can be split up for different days of the Advent calendar. Girls often enjoy the range of different flavors that they come in and some come tinted to add some color and sparkle to lips. 2. Doll Clothes and Accessories. If she enjoys playing with a popular doll brand like Barbie or American Girl, you could add in some new accessories or clothes. You could even make some clothes yourself. Hey, if David Beckham can do it for his little girl! 3. Colorful Beads and Elastic Cord. Girls who enjoy making things should enjoy being given a selection of colorful beads and some cord so they can make a necklace or bracelet. Maybe they enjoy making rubber band bracelets so you could add bands in and some charms too. 4. Nail Polish for Girls. My daughter loves her nail polish and nail art stickers. She loves to decorate her nails when she is not at school. Polish is easy to get hold and you can look for sparkling colors for the festive season. 5. Enjoy Reading Christmas Books Together. Pop in a coupon to make time for a parent and child activity of reading some Holiday themed books together. The gift of time is one of the best gifts that kids can get from their parents. 6. Cute Hair Accessories. Many girls enjoy using hair accessories. They are cheap to buy and you can distribute a packet through several pockets or drawers. 7. Write a Letter to Santa Activity. Include some paper and pens so she can write her letter to Santa. For many children, this is part of the fun leading up to Christmas day. 8. Pin Back Buttons. You can easily find pin back buttons to buy but why not buy blank buttons to make your own using photos that you have printed out. 9. Earrings and Novelty Jewelry Items. Novelty jewelry is easy to find and will easily fit into most Advent calendars. See if you can find some suitable Holiday themed jewelry to use. 10. Paper or Foam Stickers. Girls who like paper crafts might enjoy receiving some stickers in their calendar. You can get all kinds of Holiday themed stickers and also pre-shaped foam ones to use as well. 11. Add in Jokes and Seasonal Quotes. For something that costs nothing at all, you can find jokes, poems and quotations online to fit the season. 12. Making Christmas Cards Craft and Activity. A lovely December activity is to make some Christmas cards. Here are my ideas on Christmas cards to make. 13. Mini Notepad. There are lots of cute mini notepads to use as fun fillers. We get these from the dollar store and often find shaped ones like hearts. As well as notepads, you can also find fun sticky notes. 14. Take a Trip to See Santa Claus. Place a small picture of Santa into the December date when you're planning to go and visit him. 15. Christmas Tree Ornaments. Ornaments to hang on the tree can be made or bought. You could make this into an activity by putting the items needed to make one into the pocket of the calendar along with some instructions. This One Set is Enough to Fill an Advent Calendar! 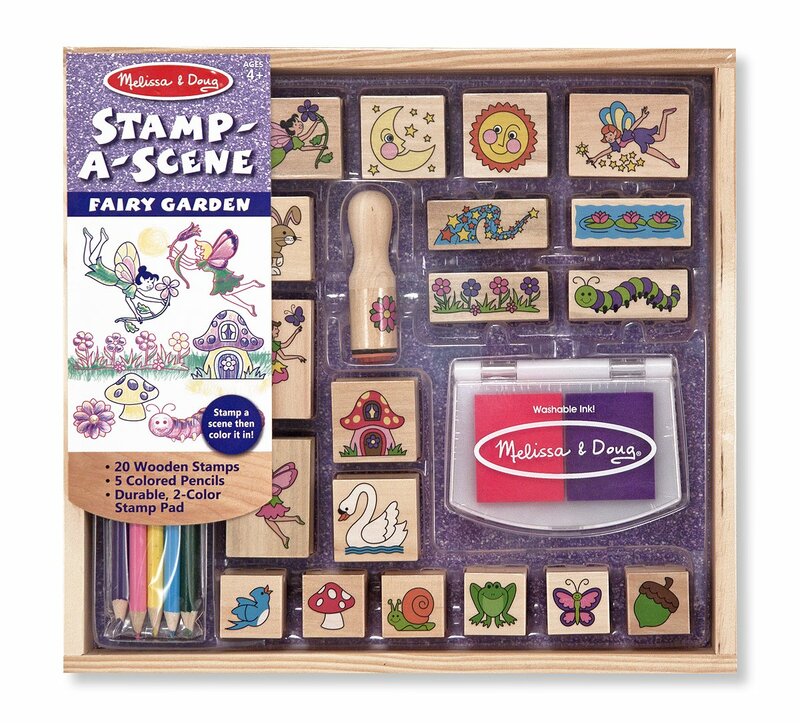 Girls who enjoy crafting should like this Melissa and Doug Fairy Garden theme rubber stamp set. You could make your countdown to Christmas a crafty one by opening this set up and placing one item into each pocket or drawer. Start with the ink pad and one of the stamps so she can use it right from the very first day and then add the rest bit by bit. By the time the last piece has been removed, she'll be able to make some great fairy scenes. 16. Novelty Erasers. See if you can find some festive Holiday theme erasers that will make small, inexpensive and practical fillers. 17. Plastic Toy Figures and Characters. There are loads of tubes, tubs and sets filled with plastic toy figures such as farm animals, sea and ocean life, fairies, butterflies and even bugs. These can be split up with toys being used to fill different drawers or pockets. 18. Bath Bombs. My daughter loves it when I let her use one of my bath bombs in the bath. You can get ones designed for kids too. You probably won't fit this in an Advent calendar but you can wrap it separately and number it. 19. Fun Foam Keychain Craft. You can get fun craft kits to make up keychains and other items from craft foam. You can also make your own by getting blank keychains and colored foam sheets which you can cut into shapes ready to be stuck together using glue dots. There are lots of small craft kits to look out for that could make a fun addition. 20. Rubber Stamps for Paper Crafts. For girls who love arts and crafts, rubber stamps are a great addition. You can get mini ink pads to use with them too. 21. Mini Cookie Cutters. Mini cookie cutters can lead to lots of fun baking for the family. Sugar cookies are pretty easy to make. You can even buy sugar cookies mixes if you want to make the baking even easier. 22. She can Sew a Felt Heart Ornament. If this girl enjoys sewing, how about she makes an easy felt heart for the tree. Add in the materials she will need as well as instructions. 23. Watch Christmas Movies Together. Get her in the mood for Christmas by letting her choose a Holiday movie to watch together. Pop a coupon inside to make a date for it. Why not make some popcorn and some delicious hot chocolate too for a fun girl's night in. 24. Tidying Her Bedroom to Clear Unwanted Toys. Of course, this might not be seen as a treat. However, this is the season of goodwill and giving. It is a time to think about other people and certainly those who might not be so fortunate. An important message to give to children is to have them clear out unwanted toys that can be donated to a good cause. And it will make space for new toys too. 25. Lego Minifigures or Playmobil Toys. 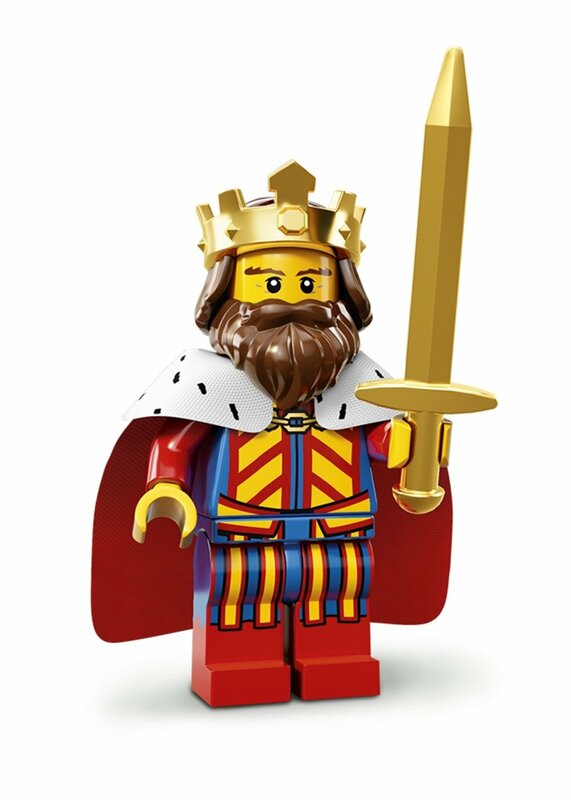 Many children love playing with Lego or Playmobil. Minifigures can be ideal filler gifts because of their size. They can work out a bit expensive to get lots but you might want to get one as a special filler. I love that you get to choose exactly what goes in each drawer or pocket of your Advent calendar. You can make a wonderfully unique and personalized design that works well for the lucky recipient.